Well, I am officially in San Diego! It's beautiful here! Today, I spent four hours walking around the biggest outdoor mall I've ever seen. FIVE LEVELS! Can you believe that? And I went into a store and promptly purchased 25 San Diego postcards! I wish I had gotten more Los Angeles cards, though! I've already sent out five cards! I wish I had taken photos of them, though! 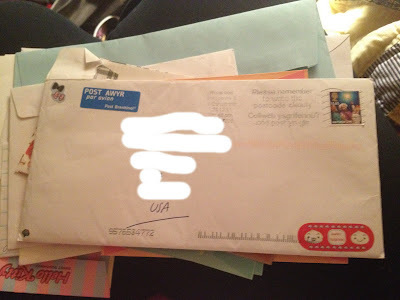 But I finally have photos of the mail that I got before I left for my trip on the 28th! I received a letter from a new pen pal and I so wish I could show her AMAZING handwriting, but due to privacy issues, I can! :( Perhaps in the future! And on to the letters! The first is from Finland! i really enjoyed the stationary! Wonderland-ey, don't you think? The sender has such beautiful, small handwriting, too! I'm jealous! And of course, the stamps! Oh, Finland, how I love your postage stamps! 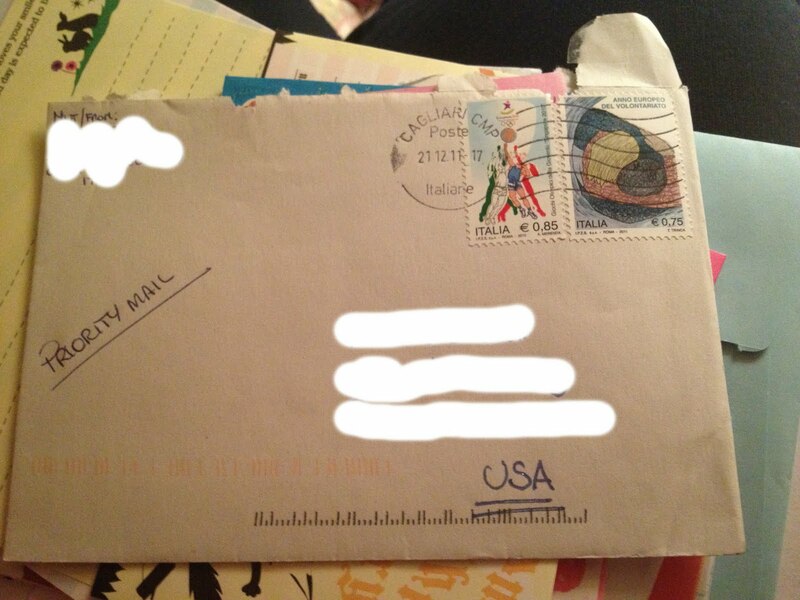 Next up is a letter from the lovely Diomira! And a letter from Clare in the UK! Such cute stickers! Such a short post! I can;t wait to get home and check out the pile of mail waiting for me! ps. My best friend works at a tea store and I am officially addicted! ppss. Make sure you enter my giveaway before time runs out! *v* What a beautiful stationery you have!